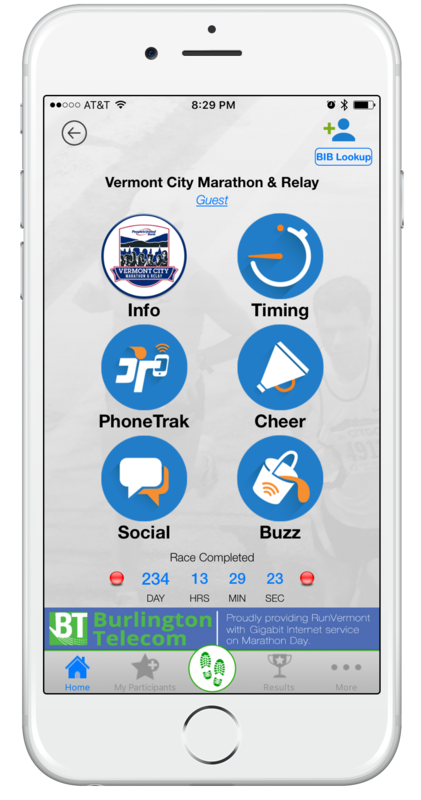 Race organizers or sponsors have the opportunity to be prominently showcased in RaceJoy and reaching a highly engaged audience of participants and their supporting family and friends. RaceJoy's offers linkable banner ads, custom branding in user social twitter posts and with each progress alert issued. 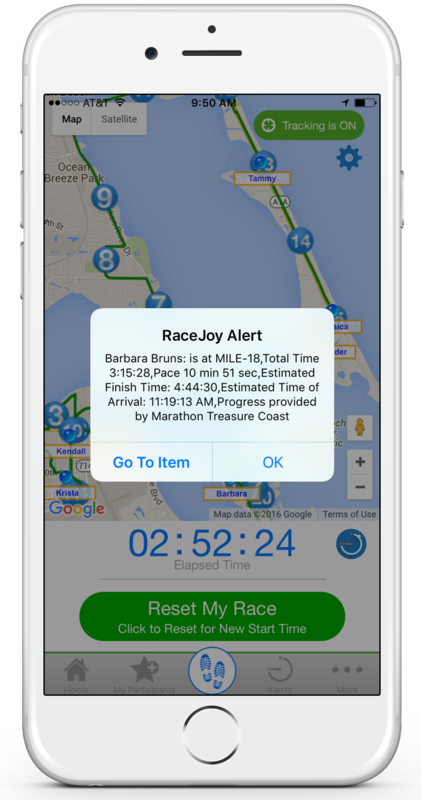 Alerts are typically issued at every mile - creating thousands of impression moments and a significant value for the sponsor. 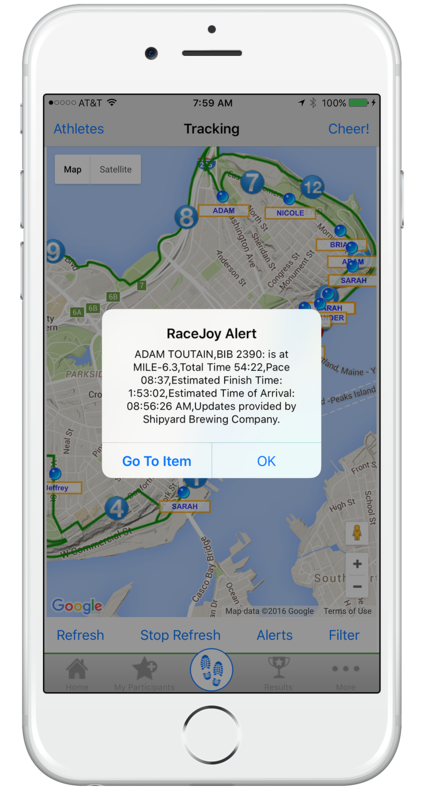 The interactive tools within RaceJoy draw people in and ensure race and sponsors receive maximum exposure. In-app advertising is one of the most powerful marketing tools today; more effective than print, television and radio. 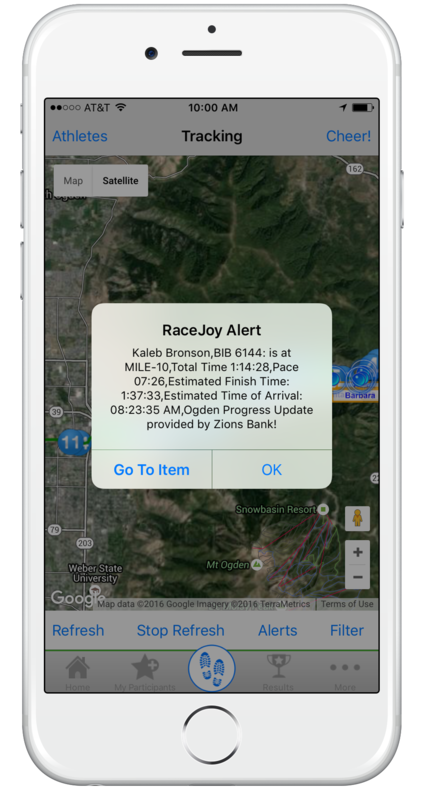 RaceJoy helps your brand reach race participants and their friends and families in the months approaching the race, on race day and after the race. 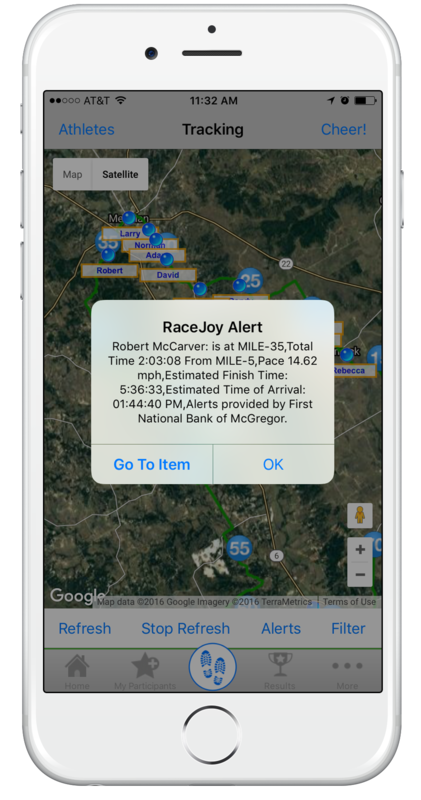 Plus, RaceJoy expands your visibility by reaching remote spectators throughout the nation and around the world.